What would life be without dance? I had a wonderful opportunity to share about Dance Labs in the context of what matters to us as Thai-Americans. It's been a great experience connecting the dots, we received a Peace through Service award, and look forward to opportunities to deliver this message from Thai-Americans while I am in Thailand from Dec 19th to Feb 8th! If you know of opportunities, please do let us know! Hello. I want to personally thank Theresa and the entire Rotary Club of Thaitown for giving me an opportunity to share today about a community project that has been an integral part of my life for over 10 years. It is so integral that during the toughest times of my life, I am able to use dance as a source of my leadership, a means to empower myself and remind myself who I am. It all started with a man who personally had written off dance – he had traumatic experiences where people would continue to laugh at him & he called it quits. How many of you can relate to a time where you just gave up learning? So we encouraged him to go through a series of exercises and smooth out his expression as a dancer. We didn’t teach him any “dance moves” – we focused on his ability to express himself and just let him be with a new level of expression. So you can imagine to my surprise while dancing at a party, he comes up to me and says, “I can’t believe this! I can dance amongst 200 people!” – that is the defining moment when you’re clear you’ve been part of changing someone’s life. Who knows how many other areas of his life where he once felt stopped, he now thinks about how 10-15 minutes shifted his whole experience and is able to unblock himself in his career, his relationships, anywhere. So that is why I am so passionate about this work. It is quite an honor to witness so many shifts in people and be part of a movement – a movement to get people out of their heads and in action! I’d like to share with you how Dance Labs plays an important role in each of these 4 areas. First, I’ll talk about my own Thai-American identity. I am born in NYC, raised on the east coast, a graduate in computer engineering from Carnegie Mellon university. I have worked professionally in California and had the privilege of volunteering for 4 years in Thailand – it was a great way to get to know my own culture. I think the most challenging aspect to bridge is the day-to-day culture of Thailand – I remember hearing about the floods in Thailand and how someone got up one morning saw everything under water and just declared “I guess ill be just taking a boat to my friend’s house today!” and just simply had peace with reality and moved on. How many of you could see this kind of peace making a difference in your own life? I ask because in the states, we make big plans, we have the “American Dream,” we strive to be “successful” – when in fact, we are capable of accepting a simple life. To meditate for 10 days and realize your toothbrush really can be your most prized possession is a humbling experience & quite enlightening. So when it comes to my identity as a Thai-American, im clear I’m peaceful with little to no possessions which goes contrary to what society calls “success” and the way this shows up most powerfully is as a dancer – a dancer has his/her clothes and a healthy body – that’s it. A dancer is able to derive joy whether there is music or not. A dancer can create value for a partner by “just dancing” and having fun. Of course, we are no longer hunter/gatherers so we do need a means of making money for food & shelter. That’s when I do feel fortunate to have an engineering background & do my best not to let it interfere with the pure joy of giving the gift of dance. I have no interest in being a dance teacher – I have interests that the different kinds of people in my life from engineers to lawyers to doctors have the opportunity to make a difference through dance. This leads us to our 2nd area which is reaching out to our youth. One of the best ways to connect with children is to dance with them. I was invited to share the program we developed in the states with children in Thailand and it was amazing to witness the leadership that shows up – dance is a form of play and who doesn’t want to have fun in life? Who doesn’t want to play with others? We have a lot to learn from youth at times! A unique aspect of this experience is the increased capacity and desire for these children to want to learn – to speak English, art, even technology. The shift is so noticeable, Thai parents called our activities “Dance Chalat” – in other words, dance is an access to being smart! Now to bridge to our 3rd area, dance has the opportunity to address the fragmentation of our community. Dance spans across generations – dance spans across gender, race, class. 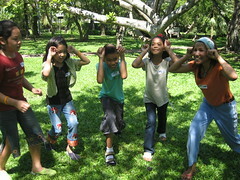 In the case of what happened in Thailand, kids used dance as a means to bring their friends, parents, neighbors together. Dance became a fabric for community development – and a fun one to boot! The important point here is you don’t need to be a “certain type” of person to dance – you aren’t just born with the ability. What probably happened is you were dancing along in life and you became self-conscious, others started judging you, others perhaps didn’t want to play with you when you wanted to dance. As we noted with the gentleman who was laughed at earlier, you just stopped – you stopped practicing how to dance – you may even have stopped playing! We all come from different walks of life, with different backgrounds , we’ve all had our own set of experiences. Dance has that opportunity to bring our community together in a way that is fun – we are social creatures. There is a way to use dance as a means to learn how to collaborate and work together as a community. Which leads us to our 4th point – the preservation of our Thai culture. I am a technologist. I take pride and joy in discovering technologies to capture what we do. I just happen to have a context called dance. 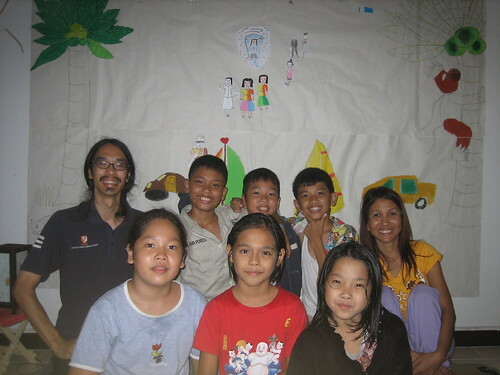 Volunteering in Thailand gave me the opportunity to play with a wide range of technologies. I have a passion to create a legacy – that all the hard work of my dance community lives for lifetimes to come. The booklet I’ve passed around is an example of distilling 10 years of experience into a guide that teaches others how to produce our Dance Like Nobody’s Watching workshop. 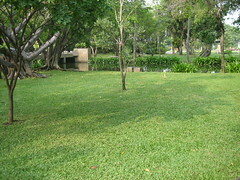 We have all kinds of documentation on the Internet – Thailand is a wonderful place to do R&D (research & development). We’ve chosen to license our work under what is called the “Creative Commons” – a place where we allow others to modify, adapt our work for their communities. This allows our work to openly be out there and at the same time, should people be interested in profiting from our work, we do reserve the right to share this profit in support of the sustainability of our community. We’ve essentially built a system to inspire people to capture what works as they experiment with their communities. We encourage people to share and preserve what works. We encourage people to build on people’s ideas. As we gather Thai-Americans together over the next year, there is an opportunity to leverage tools out there to keep our community together and have new members get acquainted with what already has happened and share new ideas that keeps the growth of our community going generation after generation! I hope this gives you a sense of how Dance Labs has come to life through a combination of western and eastern experiences. Our Thai culture was a demand to experiment with ideas with children & it resulted in dance as an effective community building tool. Such a tool is able to span across generations, class, even language barriers. And by the use of technology, we are able to preserve our ideas, our experiences, our ideas for future generations and most importantly, for other cultures outside of Thailand to leverage our wisdom. Our goal has always been to make a difference in the world and I want to thank you for being a part of this revolution! Hello everyone! It’s been an exciting year at Dance Labs! We just got done with a production at the Conference for Global Transformation and really left inspired by the contribution our community makes to the world! Some of you know we've been a grassroots community for over 10 years. We’ve had an extremely loose organizing structure and it’s really given everyone freedom to do whatever it is they are inspired to do. We’ve decided it’s time to step up our game to a whole new level and we need your support. We’re putting a goal out there that our community be self-sustainable by June 1, 2013. Now I could easily sit here for hours sharing my perspectives on the matter but at the end of the day, who really cares about what *I* think? An area where we need immediate support is with the design & execution of a fundraising campaign consistent with our commitment to keep our work available freely in the Creative Commons. If you know anyone who is able to assist us on this front, please kindly reference them to us! Hello! Thank you for being the heart of my community and listening for the passion of dance in life! Some of you have been an inspiration over the years and some of you may have heard through the grapevine the big opening that happened last Thursday here in LA I’m really excited to share about! After a long hiatus from the dance floor (on the order of 2+ years with perhaps a dabble here and there! ), I decided to follow my love for music all over again & bring a few folks to a place called Akbar I was invited to back in August. We discovered a club/house scene quite conducive to exploring being playfully connected to each other! We pulled salsa, swing, contact improv, whatever we could make up in the moment - because there are no expectations for partnering on a club floor, it’s a great opportunity to be with yourself and play with others when you’re ready. We’re also excited to complement this experience by making available a separate, private space (say a dance studio) between thursday sessions to explore any barriers that might come up while dancing with yourself, with others, or as a group. Not like there’s anything wrong - but as an opportunity to bring yourself and your community to a new level with the support of a facilitator. After the workshop, we’ll invite you to back on that dance floor, try your discoveries, and be open to what happens - you bet I’ve seen my share of surprises! Special thanks goes to Kristen Mangione, a dancer/healer based out of NYC who has been kind to listen to the spirit Dance Labs is and shape ideas with me over the past 2 months and agree to experiment with this idea between now and May. She will returning to Los Angeles next Thursday Nov 11th to meet us for dinner and play with us on the dance floor afterwards. She has offered to facilitate a 2 hour workshop on Friday Nov 12th from 2-4pm and think she’ll be a great resource to bring out the dancer in you and just about anyone you know! And in the event you absolutely can’t wait to put on your dancin feet on, join us tomorrow (Thu Nov 4th) at 8pm for Indian food at Agra and you guessed it - we’ll be dancing afterwards! Bring it on - we’d love to have you! ps. For those on Facebook, you will receive separate event invitations with this email to help tie the 2 spaces we’re creating together. For those of you who can’t make it - please do let us know you are still interested and we would be happy to keep you in the loop! It's been quite some time since posting to our community blog and just want to let everyone know what happened recently that sparks a change in our home page. I took the opportunity to declare where I feel we are as a community and will save plenty of dance anecdotes as I reconnect with many of you. To those of you who are new, welcome to yet another new beginning! We created a space on the Omidyar Network in June 2006 to serve as a first attempt to encourage our community to collaborate online with mixed results - it clearly was an experiment in community and a milestone for us. The Omidyar Network community is in a state of transition and we're getting back to basics - gathering our community together. As many of you are from all parts of the world, we'll be taking a 2 pronged approach to focus both on the local community and the global community as a whole. Facebook has proved to be a fascinating phenomenon we're willing to embrace - it is the closest we've found online to fun & playful ways of the dance floor without resorting to 3D platforms like Second Life which is out of reach for many of you. We ultimately want to keep the dance connections alive and intend to create gatherings in Thailand short-term to discuss possibilities but more importantly, play with dance! Most of all - have fun and keep dancing! A big hello from Dance Labs! We're out of the gates kicking the year off to a great start and today marks our 5th anniversary!!! You're receiving this message as we've shared the conversation of Dance Labs with you in some form or another whether it is in passing, through an invitation, a dance, or perhaps through volunteering over the past 5 years. Many of you have been in this conversation for the entire 5 years and wondering "when am I going to see something?" Others of you have been fortunate to get a glimpse and experience what we do. where they should be. Now put the foundation underneath them. 5 years ago this day we held our first dance experiment on January 13th 2002. As I reread our original invite, I extend a special thanks for those who were there - my heart still beats and it's hard to believe it's been five years! Today is Children's Day in Thailand which could not be more appropriate given how quickly Thai children have stepped into our lives to create a foundation for us to walk upon called Dance Chalat! We are pleased to share a 1.5 minute video we released over Christmas as a means for people to get quickly acquainted to our work. Dance Labs is my life and proud to share my commitment with friends, family, and colleagues. Through my transition to Thailand , it has been a part-time effort for well over 4 years. It's an honor to give 100% of my time, energy, and focus to Dance Labs these past 4 months. I am making a bigger commitment to this year and we have much to share in the form of stories, ideas, things to see, and things to play with everyone! Integrity - We've (yours truly) cleaned up the integrity of our operations. We've had a breakthrough in giving up pirated software and music. We value licensed software and Mac OS X and iLife has come through for us wonderfully! Freedom - Our action to place Dance Labs in the commons allows our research to be publicly available for non-commercial use. We support and encourage anyone to evolve our work in a way that makes a contribution to their communities. Reality - We've grounded our vision powerfully in Thailand and have experiments in San Francisco, Los Angeles, and Bangkok to our record. Our video is an inspiration for many - thank you for all your positive comments! While we did not receive our first grant we applied for, we've achieved a big milestone in articulating a vision for community service we believe we provide. Collaboration - Our vision has been shared with over 700 people worldwide. Almost half of our 70 participants are from the last 4 months alone. We have an immensely expanded presence on the Internet. We participate in the Omidyar Network, Wikispaces, and Zaadz communities and learned how to use wikis. We're busy connecting all of you together as a result. Those of you interested learning how the tremendous leaps and strides we've made in such a short time came into being, read on! If we've dropped the ball with you, please forgive us. Drop us a note if there's anything you want to say to be complete. Stepping stone: Chin volunteers to organize a bloggers conference at a local university and get published in the post! The founder of the P2P Foundation encourages me to take on my life and participate in the Asia Commons. We create a home on the Omidyar Network as a result. Warisara opens up our eyes that our vision has the potential to make a difference with children! The Asian Resource Foundation becomes our partner in peace. Yvonne teaches us a goodbye lesson and we have a spontaneous dance experiment in downtown Bangkok! Bob Niemic transforms our 1 page executive overview. We play with the kids week after week, learning to invent activities with them on-the-fly on and off the dance floor. It is a lesson in patience. Dance celebration is a success! 12 kids show up with moms on stage and dance breakthroughs abound! Thanks for a great 5 years. 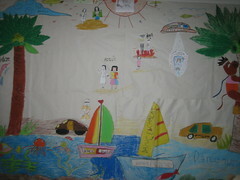 Our future is wide open - what do you see on our 10th anniversary in 2012? To be complete with the past: We've been out of touch with a great number of you - at best, we've been hiding in our blog (RSS) - passively sharing. Many of you were great to share your enthusiasm for Dance Labs and ask us when the next event is only to discover not another word from us - please excuse us for that! What it comes down to is I've never embraced the unknown and encouraged others to make discovery and learning a community expedition - I'm here to complete this aspect of my leadership. Back in March, I volunteered to help a community of online bloggers gather together at Thammasat University - little did I know we would be published in the Bangkok Post! At this gathering, I met a gentleman by the name of Michel Bauwens of the P2P Foundation. In June, Michel invited me to a conference called the Asia Commons and absolutely could not see how I could make attending happen. I admitted what bothered me most was how uncertain my life was in Thailand. We had a good chat and will never forget the hearty laugh on the phone saying "well - then anything is possible!" That statement made history. I promised to meet him before the conference with my bags packed. I am very thankful of the conference organizers for giving me a scholarship to one of the most enlightening conferences I've been to. I was able to educate myself on topics off my radar such as copyright, intellectual property, and piracy and play with innovative structures like wikis and Open Space. Little did I know I would be meeting over hundred people representing countries around the world and that I would be one of the few Thai people there! I left the conference inspired to reconnect everyone together and lead a virtual community. I fumbled around a little bit connecting this community and turned to the community I knew best - our community! Thus a new home on the Omidyar Network was born. Now just having a new home on the Internet didn't create Dance Chalat - it was a stepping stone to fulfill on a vision that we all connect and meet each other as we play with dance on and offline. What it did result in was spending the next few weeks sharing quite passionately and openly about our work. I extend a special thanks to K. Warisara for her curiousity in our work and standing we think big and consider playing with children. She got our passion we make things happen this year out of her commitment to children and the arts! 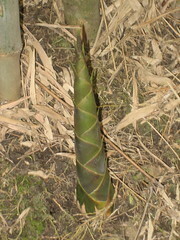 Our bamboo sprouted in its 4th year! Concurrently, I explored the art of community building by assisting the Asian Resource Foundation with their Amana Media Initiative website. It became a great opportunity to learn about web development at a whole new level and make a difference bridging Asians and Muslims - a thread that later came powerfully to us as Bob Niemic realized his vision for peace while volunteering to rework our executive overview. Bob has a vision for the capacity children of different cultures have to dance with one another outside of the societal rules that dictate their parents be separate - beautiful! A spirited woman by the name of Yvonne was on her way back to Canada and thought it might be nice to spend some time with her before she left. I went to the local park, shared some of the exercises we do, and we had fun playing around with movement! She was so excited about this experience she immediately called her friends and suggested we all meet in Lumpini Park downtown. Morn, my Dance Labs partner in Thailand, got dragged to come with us and had a pivotal moment encouraging a friend who originally was not interested in dancing with us to dance with us! Before going home, he wanted to know when we would be getting together again - he said it was a lot of fun! Quite a few of you can relate to this situation - the difference being - the park is our new home and gives us to freedom to take one big step closer to Dancing Like Nobody's Watching! I shared this story with Pech, a woman I met in Thailand purchasing IT hardware. How I really know Pech is through her passion to dance for happiness - it's what lights up her life! She committed to make Dance Labs a reality and she was great to help produce our next event the wiki-way! The idea of bringing together the kids from the neighborhood was born. Morn took the initiative to invite my niece, Moo, and they in turn invited another boy on the same street, Puoh to join us on a Sunday morning on Aug 27th. Unplanned, it happened to fall on the night of the burn - Burning Man would be holding its ritual and burning a wooden effigy to signify completion and letting go in life and at the same time, we would be dancing in nature in a park in Bangkok - a green burn in Thailand! Everyone had such an amazing time in the park and the kids loved it - they asked to meet again next week! We weren't prepared for this request and I froze - I could not possibly commit to another week and my mind was racing - I made it mean "another week? we'll have to commit every week for the rest of the year!" Well - that didn't stop Morn - she was great to get the excitment the kids had, make a commitment to "not know" and make a promise - Dance Chalat was born!!! "Play is the child's royal road to intelligence, creative thinking, and joy. The child who can play will play skilfully and successfully throughout life." Chalat - what is Chalat? "ฉลาด" means intelligent in Thai. We believe dancing is something that pulls out the creativity in all of us. Call it spatial, creative intelligence if you will - we soon discovered we provide soooo much more than one could imagine! We continued to hold sessions week after week - tried to take a monthly break before we realized that taking even a 1 week break really introduced continuity issues. Morn was really great to invent sessions with the kids to come back to our apartment and work on "generating" them - cause their leadership to come forth by working on their expression not as dance but through introducing themselves, their presentation, their voice - it was really great - we had no idea where this would take us - we were breaking new ground! This is the kind of momentum that gets the creative juices going - I soon found myself documenting our experiences in a research wiki which technically started out as a program dashboard to coordinate all aspects of what we were creating - it suffices to say it's turned into the kitchen sink. The Asia Commons came full circle and within weeks, a Creative Commons License would protect our work and yet give the rights for anyone to use, modify, evolve our work for non-commercial use - the power and spirit of Open Source is now with us! 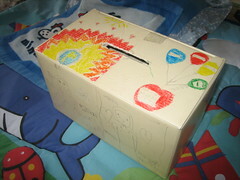 It was a real success as the kids could see the growth of the community over time! We invite everyone to play a game! We now want to put this structure in the hands of the children and have them develop their own community display in their own way in the next program we launch. The kids kept inviting new kids and we weren't quite sure how to handle new people but we figured it couldn't hurt! It got quite chaotic sometimes and Morn & I certainly learned how to be with kids - we taught them how to cook, get along, clean up, and take care of themselves. It was not a role we anticipated - it felt like daycare! :-o We learned how to build our patience and really get kids have the best of intentions. Sometimes we found ourselves educating parents and sharing the transformative process we wanted them to support their children though. We learned to set expectations and clearly learned where we did not! One of the most surprising aspects of the program is its ability to connect parents, parents who have seen each other but have never technically met and spoken to each other - this was a nice side effect! From day one, we envisioned a dance celebration at the end of our program. Our original plan was to host our own celebration and when we couldn't get all the details together quickly enough - it was serendipitous for a party thrown by Landmark Education International to show up with such impeccable timing - just one day after plan on Christmas! We embarked on an adventure to put all the elements we thought were necessary to share our project in 30 minutes. It was a very intensive period of time each learning to generate ourselves, coordinating preparations, and learning to show up the way we wanted to show up in front of hundreds of people. We believe it is essential the crowd witness the children express themselves newly whether it be speaking, dancing, or spontaneous creation - an acknowledgment of their freedom brings out to a whole new level of connection with the people all around them - especially their parents! It was a successful event. We produced our first tri-foldout handout and we learned how to create an introductory video to build up momentum for the kids. 12 of our kids showed up on stage and we managed to have 50 people up on stage playing games we usually play in the park - all we were missing were trees and grass! It was touching to have moms join their kids on stage and to cause dance breakthroughs for guests - precisely our mission here at Dance Labs! That wraps up the first chapter in our Dance Chalat story - a community project born and executed organically over the past 9 months. With a great success under our belts - I declare we are complete with the past - there is only room for expansion. So what do you see in our crystal ball? What do believe we will share as a community on our 10th anniversary on January 13, 2012? A happy new year friends, family, and colleagues! Yes - we've been out of incommunindo and think it suffices to say we had a great year grounding our vision! I came here originally to share a letter I wrote to the open space community with all of you. 8 hours later (! ), I'm done with my final outline for a comprehensive update - one that encompasses 5 years of progress, stumbles, breakthroughs, with the kitchen sink thrown in! I intend to distribute this widely before our 5th anniversary which is January 13th, the date of our first workshop in Oakland, CA in 2002.
without further ado - pictures are louder than words and this video is designed to begin our story! We shared the video above at a recent Christmas party thrown by Landmark Education International. Martina Sprangers, our Bangkok Center Manager, was really kind to invite us to share our project in the spotlight in front of hundreds of people! We had the opportunity to thank Pech, Morn, and all the volunteers who made the last 4 months a reality for all of us not to mention complete the program for the 12 kids who were bold to show up!!! We'll be adding new footage from the video from this event once we receive it - we're happy we were able to give the kids an opportunity to express themselves newly in front of everyone. It created the space for spontaneity and the unexpected - it was awesome! Here is a letter I wrote this morning to connect our community with the open space community. I feel open space is dear to our heart and is the essence of what we do at an abstract level. This community stands to transform the way we interact and evolve as human beings and lead our lives in much the same way many of us feel at home at intentional dance gatherings - free of agenda and with lots of spirit! A new beginning for openness lies ahead of us so fasten your seat belts, enjoy, and stay tuned!!! First, a warm thanks to all the volunteers and guests who've showed up to be with our kids in the park! A special thanks to any of you who've helped us from afar - we respect your choice to assist us amongst all the places you can be on the Internet or the phone! I had a good chat with Ted over Skype and it was really really great to hear more about greendimes, the startup Ted just joined. He's definitely found a great new home to work on something that I agree resonates to everyday people like you and me - who can't relate to wanting to get rid of mounds of junk mail in your snailmail box?!? I am now staring at my recycle pile right now! Their goal is to make it easy for people to make a difference at a dime a day yet have people receive a valuable service in return - way to chase a vision Ted! I updated Ted in regards to the birth of Dance Chalat and all the exciting converstions we're having. Thanks to Morn and the team, we've had *5* events since our last update and posted new photos to our Dance Chalat photoset - we also made a first cut at a VCD and for those of you who are kind to be part of the VideoIntroduction team - stay tuned - we'll be going through a few iterations and work towards what we all see as our future documentary - here we come world! Everyone is welcome to visit us here in Thonburi and join this dance floor we created yesterday - for those of you who aren't so close by - take hold of your artistic skills and mail it in - I'm sure the kids would like to see people arrive from all around the world - they already talk about dancing in Germany! For these 3 months, our production team will be keeping up dance experiments in Thonburi Park every sunday from 10-12 with a break on the last sunday of each month. If you cannot make it in person, not to fret! We've been documenting our processes like no tomorrow to assist those brave folks who want to take on creating your own dance experiment in the comforts of your very own community! See our Production Manual and Catalyst's Guide. On the fundraising front, we are still ironing out our presentation slides folding in our hands-on experience every week along with solid principles and best practices. Our ultimate goal: self-sustainability. Please introduce us to anyone you may know who may be willing to help us make Dance Chalat have a rock solid foundation at it's feet. 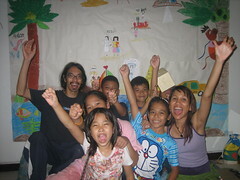 So I've saved the best for last: the kids are really excited about throwing a celebration on Dec 24th here in Bangkok. The display you see above is a big milestone towards visualizing what they see. If you'd like to be part of the organizating team, please contact us. A formal invite is to follow. Best wishes to Ted from everyone as he embarks on another year of abundance! Anyone can be a leader (ใครๆก็เป็นผู้นำได้)! Sawadee ka everyone! We have exciting news to share! It's been an enlightening experience to bring out the leadership in children over the past 2 weeks. Morn is so amazed to see the energy these kids generate together that she steps up to be a Dance Labs partner and do what it takes to contribute full time on this front! This all has such a profound impact on me I've reduced my time online by at least tenfold over the past month. We went from 3 to 8 children this past sunday and we're proud to announce our original 3 kids stepped up to help organize our next one this sunday! I updated our Videos workspace and we're actively looking for someone to help us produce an introductory video to Dance Labs to submit with our Plan proposal. We continue to explore the impact Dance Labs has on children around the world especially in developing countries. Our volunteer of the month for September is Morn's sister, Na! Not only is she a great mom, she's done a wonderful job having our work spread like wildfire in Thonburi. She stands that Dance Labs be an engaging community building tool and more importantly, that we don't give up -- we can't let the kids down! Na is also responsible for creating a great name for this project - Dance Chalat. Chalat means "smart" in Thai - what excites her is the ability dance has to nuture creativity - that playing with creativity acts like a magnet for connecting kids together! Please share any stories you have dancing with kids! whoa - it's been quite a trip in Dance Labs land - free loving spirits like Ben, Evonne, and Judy pull us every which way for the love of dance - it's so much fun! I just saw this video posted and thought it would substitute well for words this week! be sure to write more about our adventures when I get back into the office on Tuesday! on Saturday, I was invited to a CMU alumni event hosted at a karaoke place thanks to Annie and her clan. Many of you know that "Dance Like Nobody's Watching" has been our mantra for quite some time now - it got put to the test, by yours truly, when this song came on and I just wanted to dance! At that moment, a fellow alumni, Lin, came jiving through the door and it spurred me to get up and get my groove on! Now the room we were in was not very conducive to dancing so I just kinda had to be in my one square meter of space and just kinda dance for everyone! Admittedly, I'm not one for performance and lost a bit of steam towards the end of the song. heh - at least I saw my "edge" and believe it's always great to meet people as their dancing spirits so thanks, Lin, for being such a great listening for Dance Labs - you are an inspiration for all! Pech gets to be volunteer of the month! She has been doing an amazing job helping us plan future directions for a new web site and helping us work out the details for our kids event. She's been putting so much love into it - check out the names she's come up with for the dancing games we want to share with kids! Sure enough, as we were leaving for lunch, my neighbor started playing "kon jai ngai" and got an inspiration to choreograph a partner dance to this song - to share a beautiful dance that embodies the spirit of Dance Labs beyond words! ps. I almost forgot to make an annoucement! If you're free on Mother's day wkd on Sunday, Aug 13th - we have plans to share our work with kids that day - let us know if you want to come play with kids in Thonburi! I want to take a moment now to thank Chalip for his spirit yesterday! He was so excited about coming over he got all his homework done and got up at 7am present to a new future! I took a moment to brainstorm what kinds of exercises would be good for kids and the unexpected happened - we played around with our "look who's leading" exercise" and we discovered a fascinating way to get in and out of the mirrror and evolve it into a more fluid co-active dance that Dance Labs is all about! some of you are familar with contact improv - Dance Labs focuses on the methods to pull out the dancer in you quickly yet gracefully! you dance how you dance and we're committed to discovering that. a special thanks to Morn for causing all this to happen - her sister was nice to bring over some yummy Thai food and we all had a family dinner together - it was a really nice way to spend a Sunday afternoon! A dance leader is born! whew - this morning has been a bit of a whirlwind! Trying to relax today and catch up with good friends. I'm pleased to share that our informal meeting with Plan International went well! They were quite critical of the 1 page document a few of you were great to assist us with so we may share what's possible with children with respect to Dance Labs. I'm excited to talk to Morn's nephew and listen to his ideas - of all the Thai kids I've met, I've never seen anyone so excited about dancing like Chalip - he showed up dancing in my office - you really can't beat that! "Play is the child's royal road to intelligence, creative thinking, and joy. The child who can play will play skillfully and successfully throughout life." Newsflash: we have a dancer on the run! Graham is off on a journey to reconnect with his folks back in North Carolina. Last week, we had a "Dance Labs moment" - an opportunty to communicate "it's all good" through dance when words just couldn't say what I wanted to say! that's how important this work is! We gave a shot at our first "dance circuit" in Bangkok and ahem - the most important part of the circuit didn't happen! But it's all good - the dancing all happened in reality, not in some club - we were all dancing as a community and that's what matters. Rest assured I'll be sure to plan the RCA portion of the circuit again - it's gonna happen god dammit! So I go back and forth about how it is I wish to apply the work of Dance Labs in all the contexts I've created in life. I've clearly choosen to be of service to an extraordinary number of communities that sometimes I'm not clear if I'm giving the attention they require. It's like dancing around from one person to another and just realizing who you dance with is just perfect. If there's something there more than just dancing - well - I had better fess up and ask people who continue to dance with me what we might be able to create together! A special thanks to Morn, Pech, and Hiroko for being some of the most open people in the world. It is great to wake up one day (on Dance Labs day!) and realize that who you thought (ie. judged) someone to be in the past is not who they are. You can let go of their past, be present with them for who they are, and create a new future with them - thank you Hiroko for loving humanity! I want to take a moment to acknowledge Elaine, a woman I met at an advanced communciation course I took in Thailand. She is from Malaysia and has graciously offered to be my health coach. It is today, that I realized Dance Labs is the commitment I create in life to fulfill on all the things I want to cause in life. I realize without this context - everything in life just occurs as something "to do" - and franky, things don't get done! Elaine has been a stand I create my "wellness wheel" and taking care of myself and my well being is one of the best things I can do to create Dance Labs to happen. good morning! saturday continues to be Dance Labs day. It keeps me focused while I'm creating a foundation for what I'm up to in Thailand during the week. Good news is things are looking up, I'm a bit hungover this morning (I still think alcohol is evil), I'm finding creative ways to sustain myself as a volunteer, and happy Dance Labs continues to keep my spirit alive despite what in retrospect are only small setbacks! It's been a good week - our Omidyar.net space continues to expand - there are all kinds of new pages in our wiki and new people have been joining the conversation, especially with our intent to capture dance games and more fundamentally, share experiences with dance with each other! We are also putting good energy towards answering the question we often get: "What is Dance Labs?" Special thanks to Joe to kickstarting a branding scheme! This was prompted by Linda's request to clarify our vision and our mission. You are invited to contribute - we want your vision to be a part of it! I'm not clear what to post here and in the spirit of Dance Labs, it's going to be open and free... it all started at a conference called the Asia Commons. I was invited to be a part of this conference by Michel Bauwens, founder of the P2P Foundation - he simply said "it's not too often a conference like this shows up in Bangkok" So after a bit of going back and forth, I decided to bite the bullet and show up. Little did I know I would begin the address the issues that have been raking my mind around like intellectual property - I never expected to be part of bringing the commons into existence here in Asia. Our contribution to the commons is the work of Dance Labs - something I've decided to let go and let the love and beauty of every dancer in the world evolve and grow - this is an invitation if I'm not being clear! About a week after the conference, I posted an executive summary of Dance Labs to the Omidyar Network, a foundation started by Pierre Omidyar, founder of eBay. I've been part of this community for quite some time thanks to a Burning Man spirit I met, exoterica, who, in fact, inspired me to start my LiveJournal before coming to Thailand! She's been a driving force a complete activist participating in every nook and cranny of omidyar.net. It's been exciting to build up our space - engaging in conversations, inventing games, organizing the knowledge that captures the essence of what we do here at Dance Labs in a completely collaborative way - not isolated on some web server somewhere. This is the beaufy of the Omidyar network - the ability to discover and explore to your heart's content - I've never seen anything like it - please check it out - if all we here at Dance Labs do is connect you to your dream and that becomes your dance floor - we've accomplished our mission! So this journal is to be focused - focused on sharing what's happening with Dance Labs! There is a vision for this to be an RSS feed into a future web site but let's not go to fast - we have enough projects on our hands - including a potential new project to work with underprivelged children in developing countries. It's nice to stumble across an application of our technology to something so basic - the kid in all of us. We are just in discussion stages and I'm excited to see what comes of this - this may very well be one of the most interesting proposals I've written yet - I've been practicing how to write proposals for well over 5 years now and to think I almost gave up! I want to take a moment to thank Natty, a Thai business owner who was brave to share about her challenges with business. It was her share of getting to the point of almost giving up on her business that she opened the flood gates and grew her business to 5 times what it was before - that is extraordinary! ps. a special thanks to hardstone - without her stand - Dance Labs would have never come out of the closet! approval [process] is still up for grabs. dance news wise - i went dancing for the first time in ages last saturday! it feel good to just let go and find other peeps to dance with - it was quite spontaneous! dreaming about dancing with my baby! I'm going to keep this short and sweet - this page is intended to be our new online community for all of us to share that dance experience or connection that changed your life with us all!